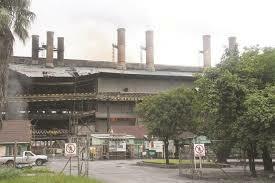 Gweru-based giant ferrochrome producer, Zimbabwe Alloys, which is under judicial management by Grant Thornton International, has recruited 300 employees to enable operationalisation of the company. Work on the revival of the chrome smelting company has commenced after Indian Investor, Balasore Alloys Group, injected $100 million. The money will go towards the refurbishment of blast furnaces, construction of new smelting and washing plants. Minister of State for Provincial Affairs for Midlands Cde Owen Ncube, yesterday said the company had informed Government that they had started recruiting employees to enable its operationalisation. “We had a discussion with representation from ZimAlloys and they have informed us that the company has reopened and has already recruited 300 employees,” he said. Added Cde Ncube: “As Government, this is a good start and will also go a long way in addressing employment challenges. In his inaugural speech, President Emmerson Mnangagwa emphasised the need to ensure the revival of industry and create jobs for the people.” Minister Ncube said the province was endowed with vast mineral deposits that could turn around the economy if exploited and properly utilised. The company recently met its creditors and unveiled the new investor. The creditors approved the proposed deal which will see the Indian company injecting $100 million into the chrome smelting company, half of which will go towards settling the company’s debts.